Monday saw the release of my first book in some time, and my first ever co-authored publication. Yeah, I should have posted something then but the day-job was kicking my backside. So, better late than never. Shining Ones features members of the Ogmios Directive, an off-the-books special ops team who solve messy problems at home and abroad that the British government would rather not have to be associated with. 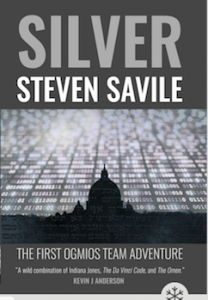 Way back in 2014, Steven Savile, author of the immensely successful thriller Silver, invited Ashley Knight and me to co-author new books in the Ogmios Directive series, prequels to Silver featuring the same cast of characters. Four of these books were already released, and now they’ve been re-edited and re-released alongside two new titles. Here they are all together. Ashley’s Argo follows on from Shining Ones but you can read them in either order. In fact all the titles are designed to stand alone or be read in order. It’s been a long tough road but it’s fantastic to see all these books together. In addition you can pick up the one that started it all, Silver, in the author’s preferred edition, reedited to be the way the author originally intended. 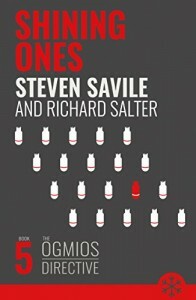 Take a look at Steve’s page on Ogmios to read all the blurbs for the series. That little Snowflake in the corner of each cover is the logo of the Ogmios series’ new publisher, Snowbooks. This relaunch wouldn’t be possible without them and its great that the series has a new home. You may even see copies of these titles in UK bookshops! The books are very reasonably priced and available for download to your Kindle or Kindle app. Here are the links.